So, you have finally accomplished your financial dreams. Through sheer hard work and sacrifice you are now able to live comfortably. You have enough money stored up so that you can purchase anything your heart desires. Your problems are over, or so you thought. Because now there is a new problem to face, one that keeps you up for all hours of the night. 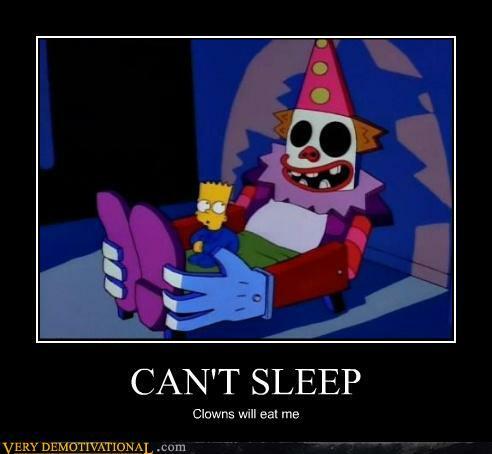 You can’t sleep. No, I mean that’s the real problem you face…you can’t sleep. But why? After some research you realize this is not an uncommon problem for those with money. So what’s the deal? Why would he say this? What challenges do the rich face that keeps them from sleeping? Why the Rich Can’t Sleep? If I had one million dollars in assets, I’m thinking I would pay more attention to it than the person who only had $5,000 stored up. I would have a lot more to take care of. To be a good steward of that much would naturally demand more of my time. I would also have seen, as the wealth accumulated, that money could actually work for me instead of me working for it. I’m going to work more diligently on diversifying the wealth into assets (stocks, real estate) and projects (new business opportunities, venture capital) that can expand that return. And if I had one million dollars in cash lying around, I think that could ignite an inner desire to have more. I mean, once you have reached that point, how much can you actually get, right? Don’t you think that desire for more would kick in and you would want to see how rich you could actually become? The rich may face these issues but I’m not convinced they actually can’t sleep. I think Solomon may have been hinting at a deeper issue in regards to his “the abundance of the rich will not permit him to sleep” statement. Fear can consume us. It really is a reason we can’t sleep. We have a multitude of fears. I mean, we leave the lights on at night so we can sleep because of one of our most basic fears – being in the dark. So what fears might the rich face that could keep them up at night? Next thing you know, as you are thinking through all these fears – lying in your bed at night – trying to find answers to the questions your fears pose – you have lost a couple hours of sleep. I’m sure these fears are not exclusive to the rich. Fear is no respecter of persons. It is common to us all. It is definitely something we must overcome for a good nights sleep. Questions: What fears (financial or otherwise) do you face? Perhaps the bigger question is, how do you work through your fears? What are other reasons you can’t sleep?